(Your weirdness has a purpose. Hello! 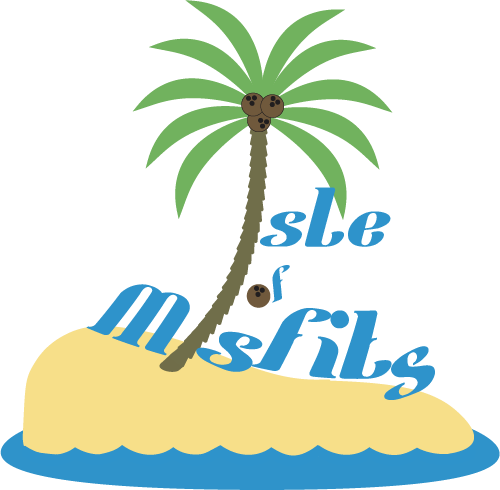 Thanks for stopping by the Isle… My name is Nancy Carmichael, CMO (that’s Chief Misfit Officer) of this little establishment, and I’m so glad you’re here, because this blog is for you and anyone else, frankly, who might feel, at one time or another, like a Misfit. “And what exactly do you mean by Misfit?” you ask. Fair question. Let’s just make it real simple and say that a Misfit is anyone who *sometimes feels like they just don’t fit in with the “status quo”. For whatever reason. Whether it’s in the school cafeteria, at your job, your church, the culture at large, keeping up with the hipsters in Hipstertown, or whatever circle of people in which you find yourself. Misfits are EVERYWHERE. So yeah, that right there describes a whole lot of us. At one time or another, most of us can feel disconnected. And let’s face it: connection is hard, and often elusive. We are wired for relationship, and as such we all have this deep desire to belong – a desire that often seems frustrated. Thwarted even. (Why is that? Stay tuned, I’m sure we’ll tackle that somewhere along the line) The irony is, of course, thanks to the wonders of the interwebs,we’re more “connected” now than ever. But are we, really? (That’s a rhetorical question) What’s more, not only do we long to connect with each other, but with Something bigger than we are. Spoiler alert: that Something is a Someone, and that Someone has a Name- Jesus Christ, the Living God, But don’t tune out if that turns you off. You’re already here. Stick around. You may find He’s not who you think He is… and you may be surprised to find out how many people who AREN’T like you, are actually sojourners and misfits… JUST like you. Now, in the spirit of full disclosure, I implied above that this blog is for everyone, but perhaps I spoke prematurely; maybe it’s not for you. And that’s ok. No pressure, friend. But it IS an invitation for those who are willing to confront the weirdness within and around us. To be honest with ourselves. To OWN OUR AWKWARD and be open to discovering TRUTH and BEAUTY in the most UNLIKELY places. Above all, I hope this little oasis of the offbeat will encourage you to discover the glory of your wonderful weirdness, cultivate the best parts of it, weed out what diminishes it, and build a wonderfully weird community where we all let our weird Light shine.